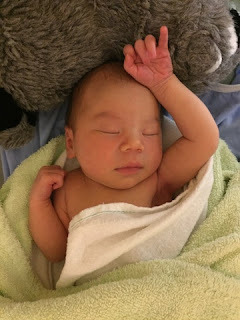 Our granddaughter, Ada Jimin, was born Wednesday morning at 1:30, and our grandson, (name to be determined), arrived late Saturday evening. They are both healthy and beautiful! We are a tad ecstatic. I've posted about this book before, but want to highlight it again, since I purchased copies for the new babies and their parents. Julie Flett's illustrations are gorgeous while Van Camp's text speaks to the special magic that a new baby brings. 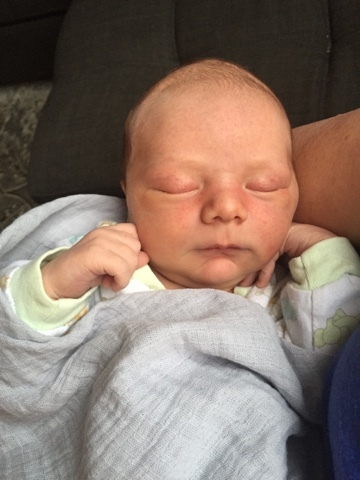 It has a special poignancy now that we are all in the process of welcoming new babies into our family and experiencing how profoundly terrifying and life affirming it is. This title, to be published in September, is a delightful retelling of the Tom Thumb tale except with a unique twist at the end. Sébastien Mourrain's illustrations are charming in shades of green. Little Pea's parents ensure that he has a wonderful childhood. He turns out to be a precocious child who enjoys the same kinds of activities other children his age enjoy like climbing & wrestling, but Little Pea also taught himself to swim and engages in tightrope walking. 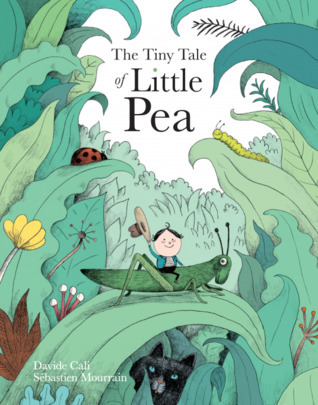 It isn't until Little Pea starts school that he realizes how different he is, and how his size limits his ability to participate in the activities of his peers. At the end we learn that Little Pea may be small, but when he grows up he can still live a rich life and contribute to the world in a surprising way. While my son and his partner were sleeping, I held my granddaughter in my arms and read at least parts of these two graphic novels out loud to her. I stopped when it came to the scary parts. (I also tried reading Bill Bryson's At Home, but there are too many words to read out loud.) When people passed through the lounge they either smiled or looked askance. I told the latter, "We're raising a reader." 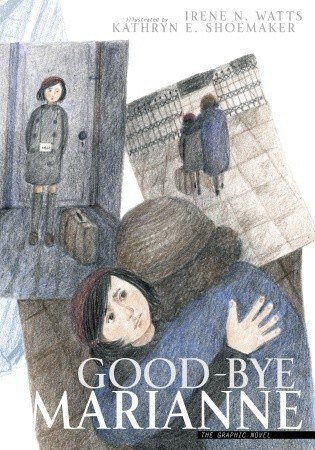 In 1938 Germany, after Kristallnacht, Marianne is forced to leave school because she is Jewish. Terrible things are happening. She sees death and destruction all around her. She misses her father who has gone underground to hide from the Nazi's. Her mother manages to arrange for Marianne to leave Germany on one of the Kindertransports to England. The story ends unfinished, but is picked up and completed in Seeking Refuge, the sequel that I read earlier this year. Shoemaker's black and white illustrations hint at the evils Marianne experienced, without revealing the true depths of horror, thus making it appropriate for intermediate aged students. If I can carve out the time, I'm going to now read the print based version of this story. 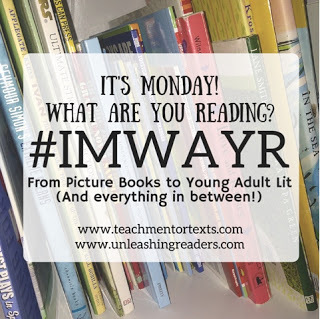 I am so thankful to Earl Dizon, at The Chronicles Of A Children's Book Writer, for introducing me to this book at his blog. 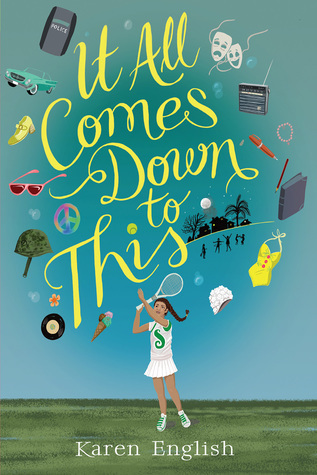 In this novel a young boy travels to the Philippines for his grandmother's funeral. His Lola had supernatural powers that terrified him. 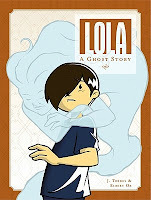 (Lola is the tagalog word for grandmother) On this journey he has to come to terms with his own ability to see beyond ordinary reality. I appreciated that while this is a great story, it also teaches us some tagalog terms and introduces us to Filipino culture. I adore how Elbert Or's illustrations capture a balance between sweetness and suspense. It's a little bit creepy, and that ending is a shocker. 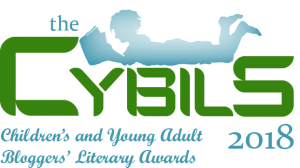 I can think of at least a half a dozen readers who I know will love this. This is my favourite Lisa Graff novel so far. I am absolutely infatuated with these characters. They are complex, authentic beings who are dealing with traumatic events. In a freak accident when he was in grade five, Trent accidently killed one of his friends with a hockey puck. He is in middle school now and still having a lot of difficulty dealing with this. He seems has developed an aversion to sports and alienated his previous friends. His new friend, Fallon Little, has her own issues to deal with. I was delighted to see that most of the adults around them are sensitive and helpful. His father isn't exactly role model material, but does his best. His mother is a rock. Ms. Emerson, the"wrinkled old crone," reminded me of my favourite high school teacher. I'm working on a full review for this. Right now, here is what you need to know. This is one of those books that transforms the way you see the world. Make sure you get a copy when it is published on July 11th. The beginning didn't work for me, and at first I wasn't sure if I would finish this. I persisted because many of you have spoken highly of it. It snuck up on me and before I knew it, I was hooked and couldn't stop listening. P.T. Wilkie and his family are in trouble. They have a $100,000 loan coming due in one month or they will lose Wonderland Motel, their home for generations. I appreciated the entire collection of characters, especially the old grandfather. I love that P.T. can be goofy, but also serious about saving the motel. His new friend, Gloria, has the business acumen to support his storytelling talent. Together, the two of them come up with some impressive money making schemes. 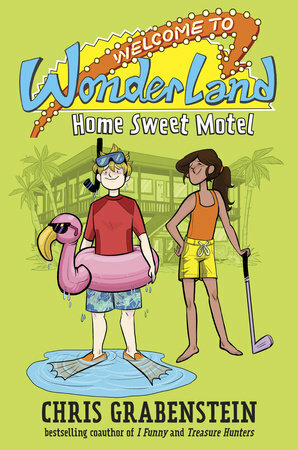 The book is loaded with plenty of humor, crazy antics, and enough action to keep young readers fully entertained. I'm reading Bill Bryson's At Home: A Short History of Private Life, and Jack Cheng's See You in the Cosmos. I'm listening to Cavern of Secrets by Linda Sue Park. I have a lot of library books to get to. Congratulations on the birth of your grandchildren. Absolutely beautiful! I'll definitely be keeping my eye out for It All Come Down to This. I just won a copy of the second Wonderland book, but I need to catch up by reading the first one. I've had it forever! Good to know your thoughts - I will persist as well! I read on someone's blog that the second book is better than the first one, so I'm now really looking forward to it. Congratulations on the arrival of the newest member of your family! The pictures are just adorable! 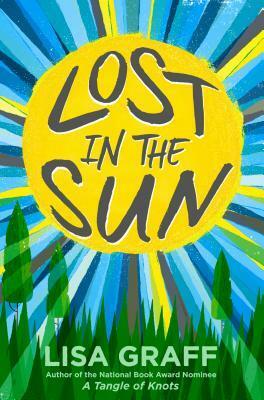 Lost In the Sun is a great middle grade read and it was pretty popular in my classroom library. I'll definitely look for the other books on your list. Have a great week! Lost in the Sun is Graff's best novel so far. I can see that it would appeal to students. Congratulations on "finally" welcoming those grand babies, Cheriee! As you've written before, they will have such a great time growing up together. I still love my cousins! 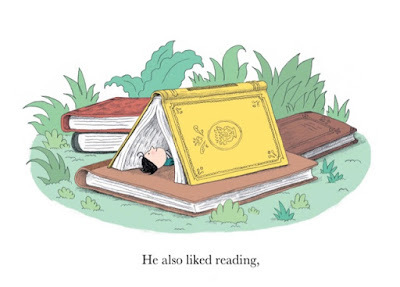 You've shared so many good books, and I've noted them. I've read Lost In The Sun, and enjoyed it very much, and love Bill Bryson, hoping someday to read this one! Have a wonderful week, maybe baby time too! I have a lot of cousins (as in over 100,) and some of them who are the same age as me are still my best friends. I guess it isn't much of a surprise for anyone Jane! Thanks Crystal. Lola is absolutely a fabulous graphic novel. Congrats! I'm not much of a baby person, but those are very sweet photos. (I used to tell my students that I thought babies would be way more awesome if they came with fur, like kittens. Because that's what I really want: MORE KITTENS.) Thanks for the review of Lisa Graff's book. 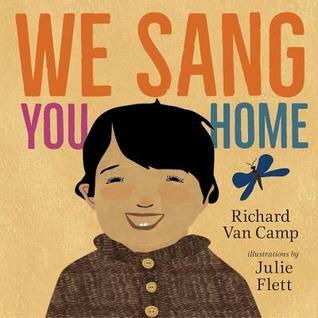 It's been on my shelf forever and I haven't picked it up yet but might try as my next read-aloud with my son. Lola looks very interesting--will try to find that one for sure. To be honest, I find newborns kind of boring and terrifying. I'll look forward to reading your thoughts on Lola. So excited to see those beautiful babies! Have so much fun holding and cuddling them :) Just put It All Comes Down to This on hold at the library! Glad they already have it on order! I am most certainly enjoying these little ones. I just checked and discovered that my library also has that book on order! It is most definitely the best one of her's that I have read so far. Congratulations on the birth of your grandchildren! I loved Lost in the Sun. It was such a touching story. I have not heard of It All Comes Down to This. I will look forward to your full review. Thanks Stacey. They are pretty special. Oh my goodness. Those BABIES! I own a couple of Lisa Graff's books, and I haven't opened one yet. I need to get to them! Marianne is a GN I really want to read.